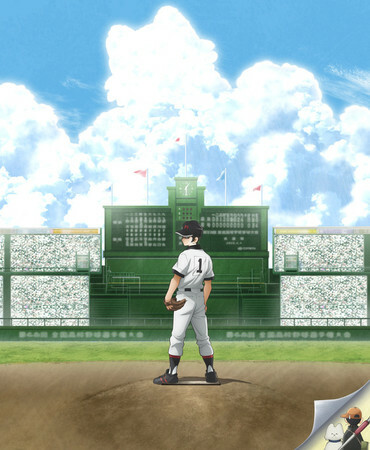 The wraparound jacket band on the 14th volume of Mitsuru Adachi ‘s Mix baseball manga revealed on Tuesday that the manga’s television anime adaptation will premiere on April 6. The anime will air on YTV and NTV on Saturdays at 5:30 p.m. (what is currently Ace Attorney Season 2 ‘s timeslot). Odahiro Watanabe ( Soul Buster , Tokyo Ghoul:re ) is directing the anime at OLM. Atsuhiro Tomioka ( Ace Attorney both seasons, Inazuma Eleven , Pokémon XY & Z ) is overseeing the series scripts, and scriptwriters include Tatsuto Higuchi , Kenichi Yamada , Yoshifumi Fukushima , and Chinatsu Houjou . Takao Maki ( Basilisk: The Ouka Ninja Scrolls , Laughing Under the Clouds ) is designing the characters, and Norihito Sumitomo ( Dragon Ball Super , Dragon Ball Z Kai ) is composing the music. The manga’s story is set in Meisei Academy about 30 years after the events in Adachi’s Touch manga . The story centers on two step brothers who are aiming to compete in the national Kōshien baseball tournament.